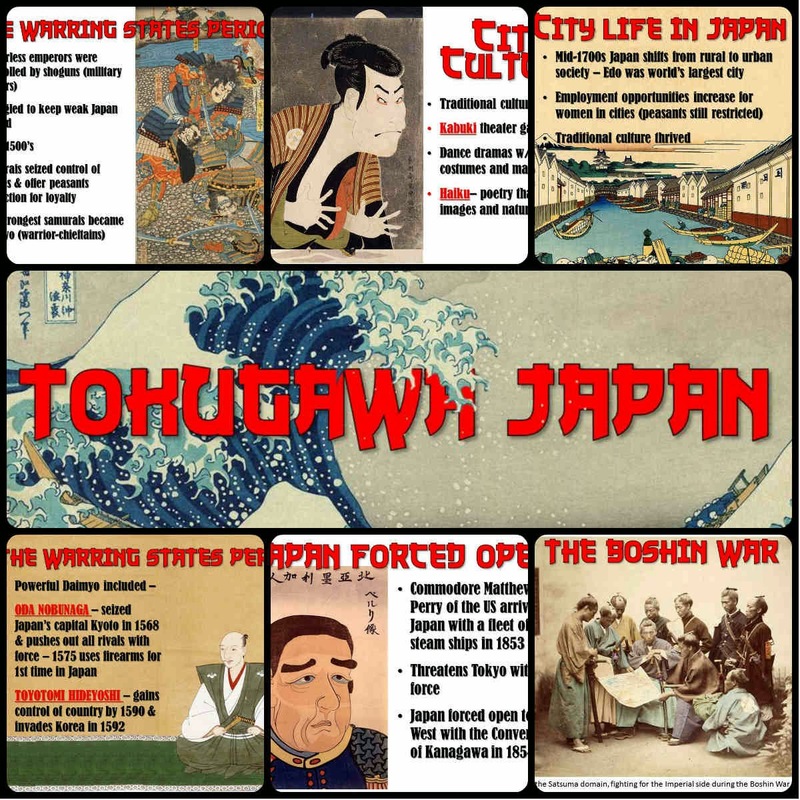 This amazing PowerPoint on Tokugawa Japan covers everything students need to know about this period of Japan's history! It begins with the Warring States period with info on shoguns, samurai, daimyo, Oda Nobunaga and more. 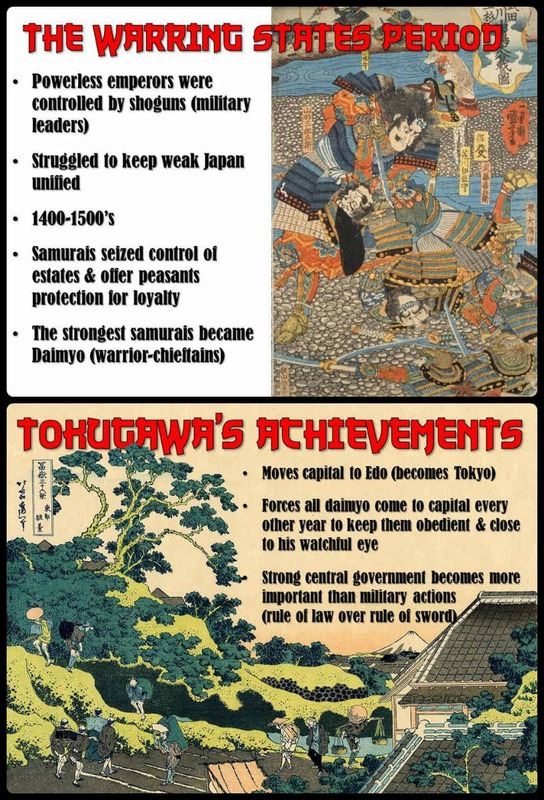 The PowerPoint then moves on to cover the rise of the Tokugawa Shogunate, its effect on Japan, and Japanese culture during the period. 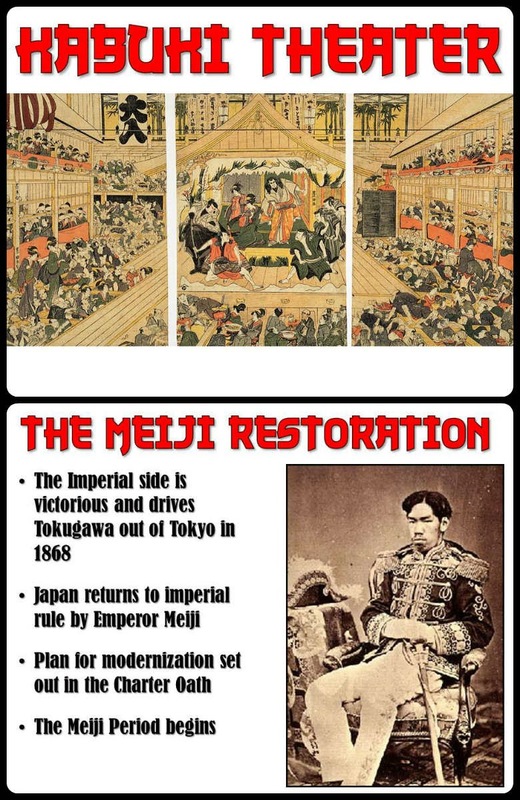 The last few slides describe the arrival of Europeans to Japan, Matthew Perry's visit to Tokyo, the eventual fall of the Tokugawa Shogunate, and the Meiji Restoration. I believe this is definitely one of the most engaging, visually-stunning PowerPoints I have created and always keeps my students focused and into the lesson! You can download this PowerPoint for your classes today by clicking here!